Contractor Quotes: Let's Make Your Project a SuccessBlogHouseHow Much Does Termite Inspection Cost? How much does termite inspection cost? 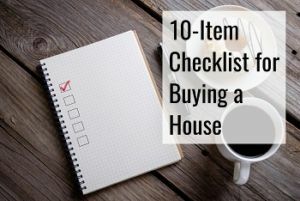 We’ll talk about that in this article, but we also believe it’s important to educate you on the different steps you are able to take to lessen the risk of getting an infestation in your home, as well what you need to be on the lookout for. 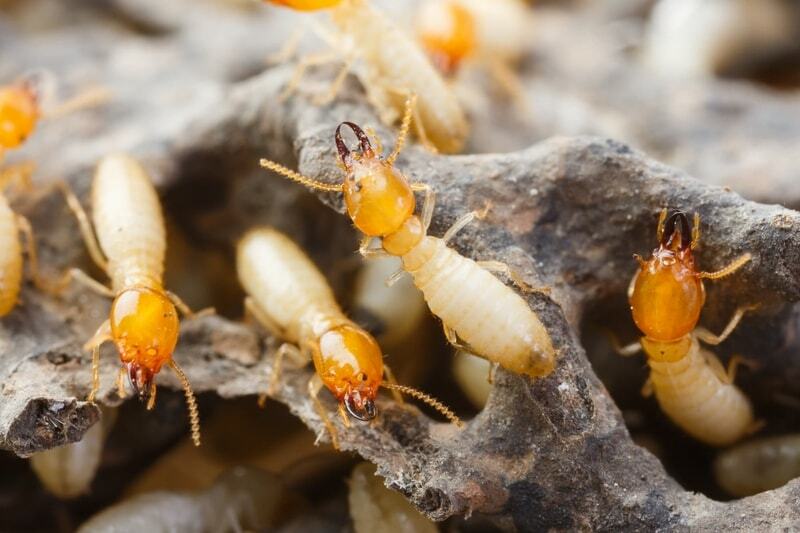 Termites are nasty little animals that range from 1/4 to 1/2 inch, and if you don’t manage to stop them in time, they can end up costing you a lot of money, as they start into into the supporting columns and wood in your house. What’s even worse to think about is the fact that the king and queen are bigger than normal termites, being able to reach more than an inch in length. Think about that! The dampwood, drywood, formosan and subterranean termites are some of the most common types you may be able to find. They’re truly guests you do not want to invite inside your home. 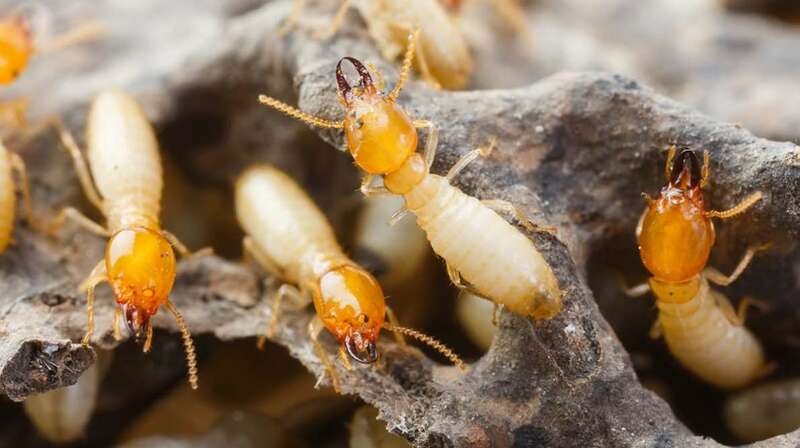 The bad thing about having termites is that it may not be obvious that you have them, and if you don’t end up doing anything about the situation, it is only going to get worse. 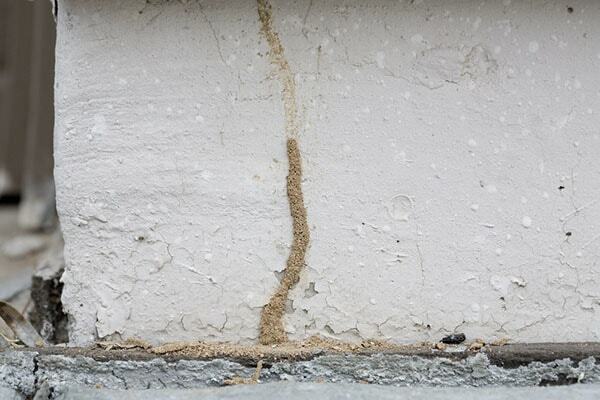 a termite colony can consist of anywhere between 60-350,000 worker termites, depending on what type of termite it is. Termites have even been known for living in colonies as large as 15,000,000. A colony of 60,000 can chew through a one-foot length of 2×4 in about 5 months. 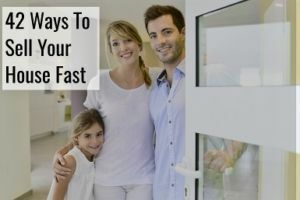 It means that they don’t necessarily end up eating your whole house fast, but if left untreated, they can do some serious damage. 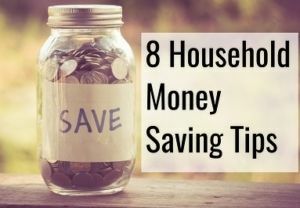 In fact, they do $5 billion worth of damage to homes in the United States each year, which is more than fires, earthquakes and tornadoes combined – I imagine you would never have guessed it was that much. Luckily you can make an active effort in trying to limit your risk of the termites chewing through your property. Here are the things that you need to be on the lookout for. Mud tubes coming up from the foundation of your property. Fish scale-looking piles of wings lying on the ground. Drywood termite pellets, which resembles salt and pepper but should not be confused with it. Patterns in your wooden things at home, often resembling a maze. Windows and doors that get stuck when trying to use them. Floorboards that seem squeakier than previously. Termites may increase the amount of moisture in your floor, and as a consequence tiles may loosen. Do you see holes in the wall that almost look like they were made with a thumbtack? It could be termites. Try tapping the different places in your home that has wood. If it sounds hollow, you may have an issue. Water damage looking peeling paint is a sign to be on the lookout for. Every time your drywall becomes either discolored or acts in a way that seems unnatural, it’s best to get it checked out. Sagging floors may be indicative of a problem with termites. The best thing you can do to your home is really to have it inspected on a regular basis to ensure that a possible problem is dealt with as early as possible, and that the little creeps do not have a long time to damage your property. You should even consider getting it checked once a year, or when you discover signs that may suggest you have termites. 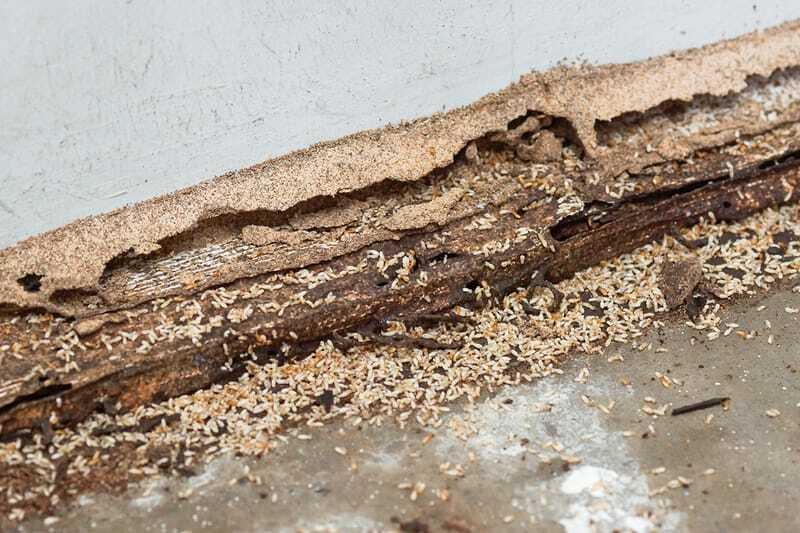 It’s also important to know that there may be hidden termite damage that isn’t very obvious to spot, since termites prefer to either stay underground or inside wood. What will an exterminator look for during an inspection? Different areas will have different types of termites that homeowners are especially at risk of inviting inside. The exterminator you work with will know the different species in your area, and will be especially careful to for the specific signs of those prevalent species. Evidence of swarmers, mudtubes and general wood damage are some of the things encountered. If you see mudtubes, it is an obvious sign that you may be dealing with subterranean termites since they nest in the soil. Even if you do not find mudtubes, it does not mean your property has avoided infestation, as there are more things to be on the lookout for. When you do end up finding problems with these buggers, make sure to get a carpenter to repair the damaged parts. The bigger your house, the longer an inspection will take. 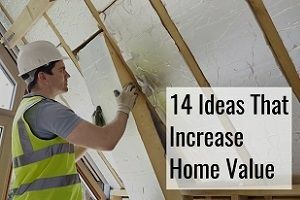 If you have a big house, the cost of the inspection will also be accordingly. You can expect that an average inspection lasts somewhere from 30 to 45 minutes. You probably didn’t know that 1 in 30 homes have termites in them right now, and it truly is a serious problem that needs to be dealt with, and it’s important to deal with the infestation before starting to repair the parts that have been damaged, or you may soon find yourself in the situation all over again. Spring is the most important time of the year if you want to make sure you avoid catching a termite infestation. This is the time when they’ll be swarming, and when you should make an active effort to keep your home safe. They’re animals that like moisture, and since shaded areas are more likely to have moisture, one thing you can do is simply to limit the amount of shaded areas in your garden, and having a working gutter system will lead excess moisture away from your home too. At the end of the day, you want the area around your exterior wall to stay as dry as possible and one way to do that is to make sure that anything you plant is not done so right up against your outer walls. Broken roof tiles is another way for moisture to attract termites, so make sure to have any such situation fixed. Additionally, you always want to have roof leaks treated as quickly as possible. Your air conditioning system should release its excess moisture away from the foundation to not encourage those small bastards. Storing your belongings in plastic boxes will also help termites out, since they love themselves some cardboard. 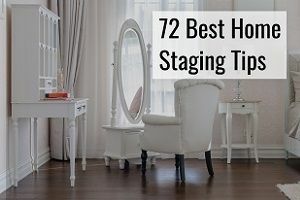 When it comes to choosing the furniture in your home, there are two things you can do. One is to try to avoid buying wooden furniture, if that is possible. The other is to avoid places your furniture straight up against the wall. 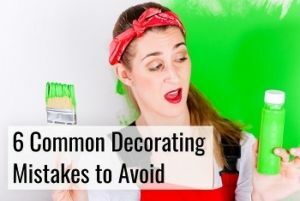 Generally, the more you opt for plastic or metal instead of wooden options, the more likely you are to avoid an infestation. During swarming season, in the spring, it may be a good idea to keep doors and windows closed, in order to avoid making it even easier for them to come into the home. Having wooden things that make contact with the soil is something you will want to try to avoid. During the fall, you should try to make sure to rake or blow away the leaves that fall, since they create a very nice layer of moisture, which is an open invitation for termites. When you stack firewood, make sure to do it away from the home, and have tree roots removed, since these are some of the favorite foods of termites. There are different types of treatment that can be used when your house has been taken over by those little wood-eating creatures. You can either make use of chemical or non-chemical treatment, depending on what you’re more comfortable with, as well as the recommendation of the exterminator. You should also know that treating an infestation is normally not covered by the cost of the termite inspection. When treating, some people choose to do both liquid termite insecticides as well as using termite bait. During the construction of your home, it’s possible to have a physical barrier set up, which will make it a lot harder for them to get to the wooden parts of your home. It can also be done after the construction, but as with anything else, it is easier to have it done during construction. Steel mesh and sands have proven to be successful as physical barriers, or you may use biological control agents such as fungi and nematodes. These different non-chemical measures are not regulated by the EPA and can be used at your convenience. Here’s a good article on chemical termite treatment, that you may want to read. What is good to know is that before a potential treatment against termites is released for sale, it can carefully been reviewed by the EPA to ensure it does the job as effectively, yet safely for humans, as possible. 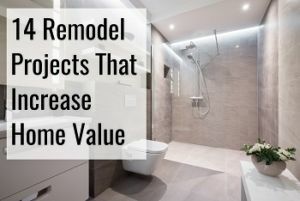 And even if you choose to treat it yourself rather than have a professional do it for you, it is very important that you always follow the labels, although the most sure way to get it done right and safely is to get it done by a professional. You must be made aware that there are certain risks of using these solutions yourself incorrectly, which can include contaminating the drinking water as well as not effectively treating the problem you were hoping to treat. Here is a list of the active ingredients that go into termiticides, originally posted by the EPA. As we’ve already told you, a normal termite inspection will last between 30 and 45 minutes. The cost of a termite inspection will generally cost somewhere between $65 and $150. It is, however, good to consider the importance of this inspection, since a treatment may cost you between $1,000 and $4,000. 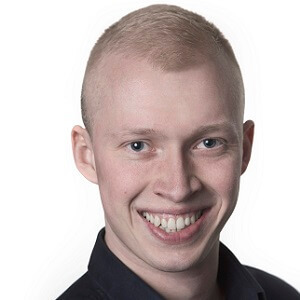 If it is simply a small, localized treatment that is needed, you may be lucky enough to pay no more than $150 for it, but it really is one of those things that just needs to be done, and by a professional.